See our Facebook page for special offer details! Select "Special" under order type and let us know which special you'd like! If you do not specify, you will automatically be charged for a Special #1. 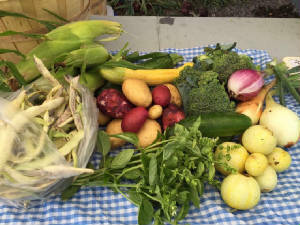 Special CSAs are offered from time to time. Please select "Special" under "Order Type." In "Special Notes," please make note of the size you would like. By submitting your online order form, you are agreeing to our Membership Agreement and farm rules. Please email us prior to submitting your form if you have any questions. There is a one-time $30 setup fee for new member accounts. Your credit card will be charged on the first of each month unless otherwise noted. 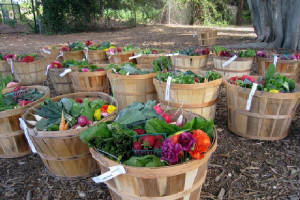 You are expected to pickup your basket each week from the farm on Friday or leave a cooler if you recieve home delivery. We are not responsible for baskets that are not picked up - they will not be replaced. 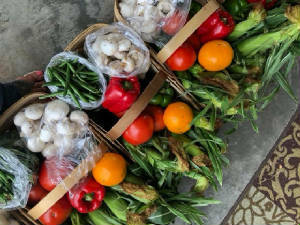 We will leave baskets with or without a cooler for home delivery. 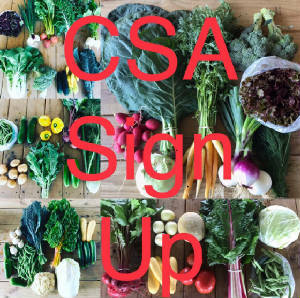 Please see our Weekly CSA page for information on seasons and cancellation policy/fees.